Taking children under 5 to Mass can be stressful for young families. This event provides a relaxed atmosphere to gather families with young children for Mass at an alternate site followed by a potluck dinner. Volunteers lead children in a Lenten craft activity and games. 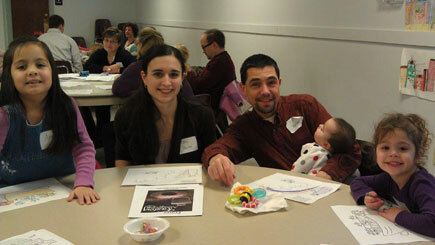 Families can worship together and have an opportunity to meet and create community with others. Patty Bubar Spear currently serves as pastoral associate for youth, young adults, and young families at St. Joseph University Parish in Buffalo, New York. She worked for 14 years as the associate director for youth ministry in the Diocese of Buffalo, New York.